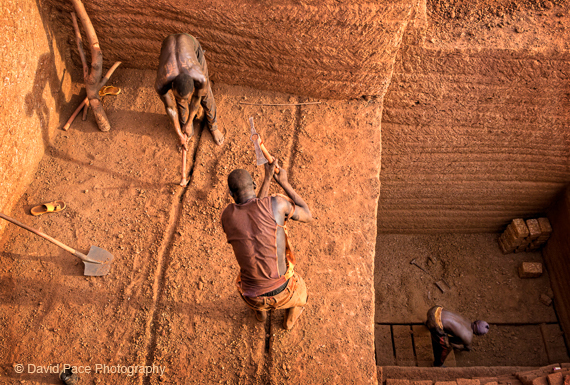 Burkina Faso is a small, landlocked country in West Africa, where American photographer David Pace spends time each year. 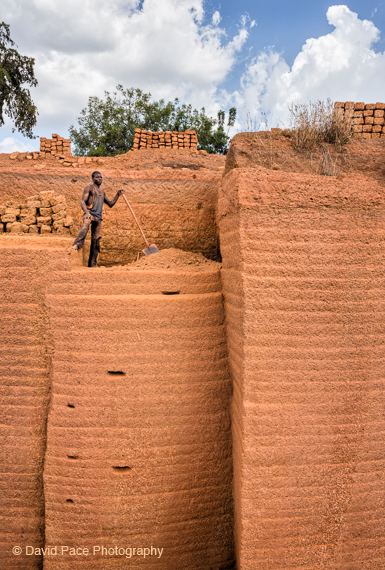 Some of the areas Pace explores during his trips are the brick quarries. 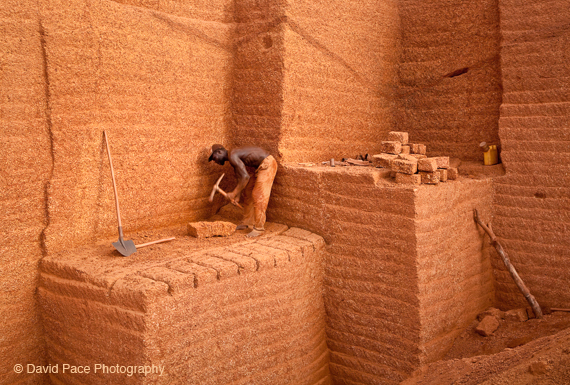 In the Karaba quarries, where these photographs were made, bricks are cut using only picks and shovels. 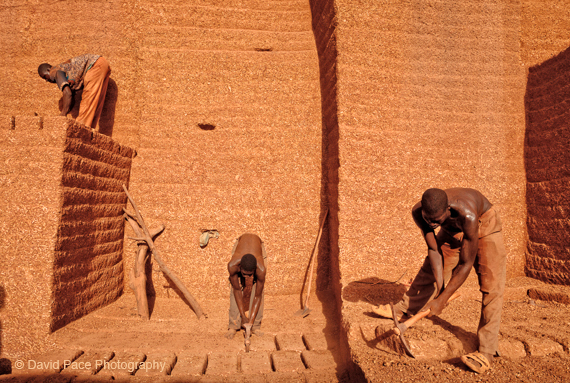 I have been traveling to the West African country of Burkina Faso annually since 2007. Most of my time is spent in Bereba, a remote rural village without electricity or running water. I photograph all aspects of daily life in the village. 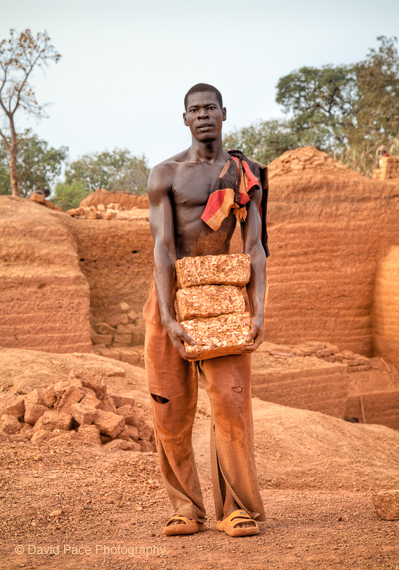 But I am particularly drawn to the activity in the market, the weekly Friday night dance and the landscape and workers of the Karaba brick quarry. Two of my colleagues from Santa Clara University formed a non-profit organization called Friends of African Village Libraries (FAVL) in Burkina Faso in 2001. Burkina Faso has one of the world's lowest literacy rates and FAVL builds small libraries in rural villages to help address this problem. In 2007 my colleagues invited me to visit them while they were doing research in Burkina and asked me to photograph the libraries. That was my first trip to Africa and my first experience of village life. 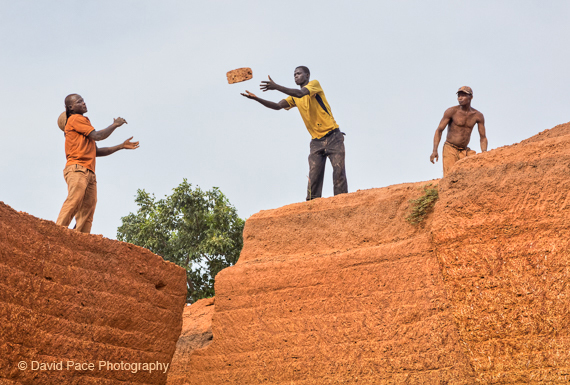 I began taking portraits of the villagers and documenting everyday activities. It was a life changing experience. From 2009 - 2013 I was the Resident Director of Santa Clara University's study abroad program in West Africa. I spent the fall teaching digital photography to American college students. 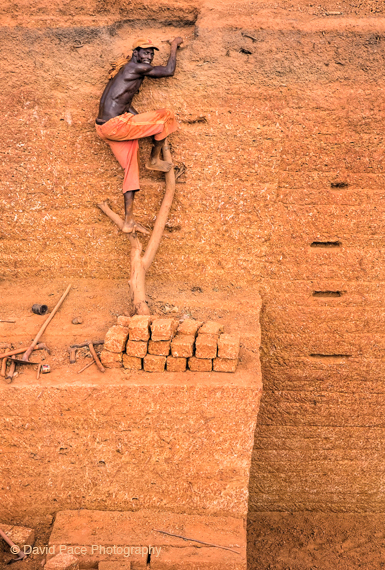 My students stayed in Ouagadougou, the country's capital, for the first weeks of instruction and then I would take them to live in remote villages without electricity or running water where they photograph, experience traditional village life and do internships in rural libraries. The students studied French & French Literature, developmental economics, environmental studies and digital photography. One of their main projects was to work with someone in their village and create two photo books which explore some aspect of village life. The students wrote texts in simple French for beginning readers. We published the books in small quantities and took them back to the libraries. Pace's love and enthusiasm for the country and its hard-working, colorful inhabitants, is palpable in his images. The "Friday Night" parties he goes to look like really great shindigs! See more on his website.